Can we? is it ok to talk about it? Body Odor in children is one of those things no one really likes to talk about isn’t it, but, lets make an exception, just for now. My kids are smelly. Very smelly. Sometimes they’re so smelly that being in the car with them on the way to or from school is almost unbearable. ‘So shower them! !’ I hear you all muttering. Well I do. In fact they are probably 3 of the cleanest kids I know. But they still smell. In fact I’ve known them get out of the shower stinky! All 3 girls have used roll on deodorants for a few years now. It pained me to buy them deodorant, it seemed so wrong, they were still so young, babies really, but they stank so I bought some. It helped but it didn’t completely fix the issue. Now I’m no scientist, but I’ve worked out that they sweat, a lot. I don’t know about you but I only really sweat when its hot in the summer (in the UK this isn’t often), or I’m super stressed out. ‘Stressed Out’ yup, that’s it, Stress! 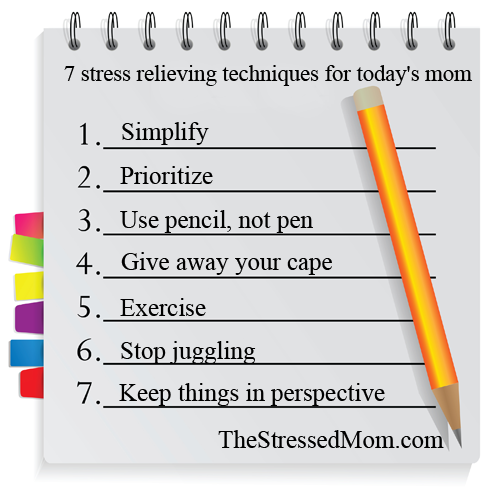 My kids stink when they’re stressed. I’ve noticed something new lately and its made me realise just how bad they stink. I’ve noticed how nice they smell! I haven’t smelt any BO for weeks! Weeks!! I’m not even kidding! Nothing has changed with their hygiene routine, they’re no cleaner now than they were before the summer holidays. In fact, Its possible they may even be showering slightly less during the holidays, so they should be more pongy shouldn’t they!?! But they’re not! Because they’re not stressed, they’re not sweaty! Noticing all of this has made me really sad. The realisation of just how stressed out my 3 stinky little monkeys must be on an almost daily basis at school is just heartbreaking. So next time you walk past a stinky kid, don’t be too quick to judge! Maybe they’re just having a rough day! There is a fine line between building resilience and pushing too far I beleive. My girls are really struggling right now, we’ve had more tantrums in the last fortnight than we have this year, their sleep is at an all time low, I don’t know how to make it all better anymore. Baby girl and middle girl have both now withdrawn from their on stage rolls in their school christmas plays, opting to sit at the side instead, however, it seems even that is too much for them ‘people are still looking at me’ they’ve sobbed ‘I want to sit where no one can see me’ they say. Big girl has chosen to participate in her play but this hasn’t stopped her reeling off a never ending list of ‘issues’. ‘I’m squashed when we do this bit’, ‘XZY stands too close to me were doing that bit’, ‘I keep getting the actions wrong’ and yes I know that most kids probably go home with a list not dissimilar, and many children get stage fright and worry that people are looking at them or they’ll forget the words or get the actions wrong. What is different though is the profound effect all the ‘stress’ has on their ability to manage their emotions and in-turn behaviour. I sat all the girls down today and asked ‘what do you need to make it more manageable for you?’ They didn’t know, I knew they wouldn’t but I was getting desperate after a full weekend of tantrums. Big girl is adamant she wants to take part but was able to acknowledge how hard she was finding it. Baby girl would rather not take part at all and stay home and middle girl really wasn’t able to decide or identify exacty what she was finding so hard. So when does resilience building become too much? When do I decide that this is just to much for them and the benefits have been outweighed by the anxiety and it’s negative effect on their emotional well being and health? Do I continue to push them all to take part and see that it’s ok? Or accept that it’s just not managable for them?! There is a fine line, but at the moment I just can’t see where that line is………..
My little book of worries………….. Inside my head I have a book, it contains all my worries, it seems to be rapidly growing! I have an appointment tomorrow with the lady co-ordinating the EHC plan for big girl, I must remember to tell her everything! I have an appointment with the pediatrician next week about all 3 of the girls anxiety levels and the knock on effect its having on their sleep, which seems to be getting worse with age! I need to write an email to the pediatrician so she/he can have all the sensitive information without me having to say it all in front of the girls. We had a letter today notifying us that middle girls teacher is leaving and a new teacher will be taking her place in January, I knew this was going to be happening, I just didn’t know exactly when. So I need to ensure that school, sometime over the next 7 school days before they break up, do some work with middle girl to prepare her for this transition. Perhaps a photo of the new teacher and an informal meeting with her before school recommences in January!? Middle girl is already worried, ‘what if she shouts’ she asked me tonight. I’d also like them to pass to the new teacher the information (letter to my teacher) that was given to each of the teachers at the start of the school year so that she can also ‘know’ about Middle girl before school commences. This new teacher (if staff/classes remain the same) might also be Baby girls teacher next September which means they will also need to be thinking about supporting her next year with that transition. I’d also like some thought in how the year 5 teacher (again assuming there are no changes) will support Middle girl next year as I’m not sure the approach she had with Big girl last year, will work with Middle girl next year. With big girl changing schools, Middle girl and Baby girl are also going to need a lot of support with this. It will be a big step for them to be in a separate school. The bad dreams about ‘sisters getting lost’ have already started for Middle girl and I’m convinced this is linked to her knowing that Big girl is going to be changing schools. Then there is all the other day to day stuff, like Christmas Plays, Sats, Therapy, IEP reviews, Letterbox contact with birth family, what to cook for tea! Oh, and its Christmas soon…………….. I hate being THAT mom! I hate being the mom that struggles to find something positive to say, but its getting harder and harder. Stress levels are soaring here right now, the girls and mine. I think the trigger (this time) is ‘School Plays’. I’m not sure why these have become an issue the last couple of years, at the previous school they all managed the school plays (minor roles) without a hitch. Baby girl pulled out of her play altogether last year, at the last minute, this year she’s given some notice and decided again not to participate finding a background (helper/off stage) role more manageable. Big girl has managed to participate in her plays but this year has asked to be excluded from the ‘bows’ at the end as she finds them too overwhelming. Middle girl has told me she’s happy to participate in her play but feels frightened when she’s on the stage. But in reality they’re not managing………. Middle girl had a therapy session today (which is slow going but they seem to be managing it fine), I collected her at lunch time from school, I hadn’t even turned the car around before she was refusing to speak to me (control). I hadn’t bought a medal she wanted to show the therapist, she hadn’t asked me too. She then spent the entire session rocking manically and refusing to speak (dysregulated). Baby girl, well, tonight she’s stood with her arms folded in a mood, stamped her foot and given me the death stare (control) whilst telling me she’s rubbish and everyone one at school hates her (low self esteem), even though I reminded her that she came out of school this evening chatting and laughing with her 2 friends. She also told me that she’s been participating in part of her play because she thinks her teacher will shout if she doesn’t (insecure). (her teacher wouldn’t shout, this is just an example of how unreasonable her ‘thinking’ is when she’s stressed). She also said the story line scares her, its A Christmas Carol (immature/dysregulated). They practiced their school plays this morning. Each morning we’re greeted by a lovely teacher who’s working so hard to help the girls. Every morning I find myself having to tell her about some sort of crisis or drama. Today it was that middle girl is terrified when she’s on the stage and to ask her if she can perhaps give her a little thumbs up, tap on the shoulder, check in with her etc. Tomorrow it will be to tell her that baby girl has been staying on the stage after putting the apparatus in place (her job) because she thinks her teacher will tell her off for sitting back down afterwards. I’ve no doubt Monday there will be something else. There is always something…………..
“Middle girl is worried because her p.e. day has changed and she doesn’t know why, baby girl is worried because she has fallen out with her friend and thinks she has no one to play with now, big girl is worried because someone shouted in class today and it hurt her ears, middle girl is worried because she doesn’t know why there was no science yesterday, baby girl is worried because someone told a dinner lady she pushed them but she didn’t and she thinks she’s in trouble, big girl is worried about the book your reading in class, middle girl was hot in class yesterday and came home angry because no one noticed, baby girl is worried because a man came in to school and she doesn’t know who it is, big girl is worried because she didn’t understand her homework, middle girl is angry because the girls wouldn’t let her join in at lunch time today, baby girl is worried because she thinks she’s going to see a real volcano next week and might die!” This is probably a good representation of a couple of days worth of ‘chats’ I have each morning! I hate being THAT parent! In reality it is all anxiety, lots and lots of anxiety about anything and everything and it seems to be getting worse as they get older and I’m not sure why, maybe because they understand more, or maybe because they’re expected to understand more and don’t. You only need to search the word ‘stress’ on my blog to see this is a common theme. Is this Autism? Attachment/Trauma? both? Its that old chicken and egg question, are they not sleeping because they’re anxious or are they anxious because they’re so tired. What I do know is that this level of stress isn’t sustainable, for any of us. 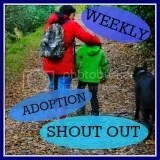 I’ve linked this post up with #WASO over at The Adoption Social! Aeroplane safety talks (apparently, as I’ve never been on a plane) tell parents to sort out their own oxygen masks before helping their child with theirs. Every book about adoption/trauma that I’ve read, every expert I’ve heard speak, every adoptive parent I’ve spoke with has told me the importance of ‘self care’. So why is ‘self care’ so important? Its simple, in order to be able to help others you must first ensure your strong enough to do so. So why haven’t I done this?! I’ve worked so hard at trying to be the best mum I can be, that I forgot to take care of myself. I don’t mean I forgot to brush my hair or shave my legs (although I’m not saying I always remember those either), what I mean is that I forgot to look after my own emotional health. I forgot to preserve ‘who I am’, whilst putting in all that effort to help the girls work out who they were. Somewhere along the way, buried beneth all the trauma and loss, smothered by the girls emotional baggage that they offload on to me daily, is me, is my personality, is my confidence and my self esteem, buried deep deep down at the bottom of all that, is my resilience. It’s time I start taking care of me, the only way I can give my girls everything they need, is if I am strong, and well, and regulated. So, how does one take care of ones self? I’m not in to sport, in fact I prefer to move as little as possible, so sport and gyms are out. I don’t have a whole host of friends I can call on for coffee. I can’t knit, or sew or even cut and glue very well. I’m not in to spa treatments or massage or anything that requires me wearing less than a full covering of clothing, I don’t mind my hands and feet being on show, so long as it’s not too cold. I’ve considered volunteering at a food bank or soup kitchen, I like helping others but with so many appointments to fit in for the girls I’m not sure how reliable I could be. I love reading, I used to volunteer at a school helping children with reading, it’s not very sociable though, well unless I wanna chat about moshi monsters and starwars lego, and actually, seeing the average development levels of some of the children, just made me feel sad for mine. So, I turn to you, oh great world wide web of followers and supporters. Give me some ideas, how do you take care of you? Sometimes it all just feels too much. I don’t feel like a mom lately. I feel like a therapist, a psychologist, a referee, an advocate, a PA, an emotional punch bag! There is too much to remember, too much to keep on top of, too much to explain, too much to figure out, too much to think about, just too much! All the girls are struggling, it’s been like it for several months now and I feel like I’m running round in circles putting out a constant supply of little fires, but with every fire I extinguish, another two appear, sometimes three. Baby girl is stressed out to the max, she’s not sleeping, is run down and sucking the life out of me with her demands for attention and control. Middle girl is stressed out to the max, she’s not sleeping, her skin and nails are showing the signs of stress, yet she keeps pushing me further and further away. Big girl is stressed out to the max, she’s not sleeping, is run down having daily tantrums and constantly trying to provoke a reaction from me, sometimes she wins. In the last month I’ve joined a support group for parents of children who self harm, which is basically a bunch of parents sat in a room saying ‘I don’t know what to do’, and a member of staff from CAMHS that says nothing more than ‘well what do you think you should do?’. I’ve taken all 3 girls, at the same time, to see the gp to ask, no beg for help with their sleep difficulties, there’s none available apparently, but she commended them on being ‘pretty’ and remarked how she hoped they’d come back and see her again soon. I’ve also contacted the Autism specialists for help with baby girls worries about everything and anything, and middle girls anger and stress which I’m putting down to social difficulties, I have to wait until early 2015 before they’ll see me, never mind the girls. I’m also in daily communications with the school, but honestly, I’m getting sick of having to tell them about this worry and that worry and this incident and that incident, I must sound like a broken record to them, I’m starting to wonder why we bother, the teachers are working so hard to ‘get it right’ but the minute they remedy one issue, the girls present yet another! Even their ‘key worker’ has said she finds them totally draining some days. Every stress, worry and anxiety seems to be school related. They store them all up and bring them home! They can’t cope with school, and I cant cope with home schooling. I’m not sure how much longer I can play these games, because that’s what it feels like, I feel like a pawn in a game of chaos!